A British man has drowned after getting into difficulty in the sea at a popular beach in New Zealand. Andrew Massey, 68, from Kent, was swimming with his family just before 18:00 GMT on Saturday, police said. 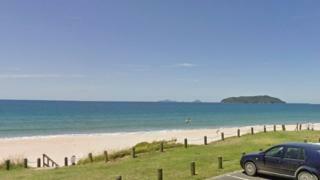 He was brought to the shore at Ocean Beach in Tairua and CPR was attempted but he could not be resuscitated. The force said its thoughts were "with his family and loved ones" and said the death would be passed to the coroner.